I suppose there’s inevitable questions in the way I have ordered the Seeker of Darkness. So, I’ll do my best to try and answer them. 1) Why do some of the Seekers have Foreteller keyblades? Surely they’d have keyblades of their own? Yes, that is a possibility, however, hear me out, the Keyblades of the Foretellers have the Eye of Darkness. Aside the foretellers, Xehanort and people who have closely worked with him or his incarnation (Vanitas/Riku) are only other characters with Keyblades that have the eye of Darkness. My theory is that Xehanort provides these Seekers with their respected Keyblades by using the Eye of Darkness to summon the Foreteller keyblades to them using his ancient Keyblade. After all, it is the initial reason why Braig joined Xehanort’s cause. He wanted a Keyblade of his own. And as far as Vanitas goes, he probably switched his Keyblade as the Foreteller Keyblade is inevitably stronger than the Keyblade that he currently posses. 2) Why is Marluxia in the list? To be a vessel for Xehanort, you don’t have to be willing to Xehanort’s cause to be a vessel. Sora was going to be a Seeker of Darkness at the end of Kingdom Hearts 3D before he was saved. In the Keyblade Graveyard, Terra tried to stop Master Xehanort from using his body as a vessel by deflecting it with his armour, but, it was too late. Plus, in recent interviews, Nomura has hinted that Marluxia is dabbling in The Kingdom of Coronia (as hinted by the nobodies that reside there). Nomura has also said in interviews that the Disney worlds are more linked to the overall narrative of Kingdom Hearts as opposed to being secluded to the movie's narrative. Maybe he's hunting down the King and Queen of Coronia because they have valuable information or has an interest in Rapunzel's healing powers (I digress, let me go back to my initial topic). 3) Why is Ephemera and Skuld members? They never existed during Xehanort's time? Well, there’s one of two hypothetical scenarios in which Ephemera and Skuld could end up being a seeker. Scenario 1 would be that these three may be simulations that enter the real world. In Re: Coded, Data Sora grew a heart when Donald and Goofy tried to protect him from Pete in digital Hollow Bastion. In Kingdom Hearts II, we see heartless invading Radiant Garden that came from Space Paranoids: proving that transference from the digital world to the real world is possible. Scenario 2 is that a version of Xehanort existed during the time of Kingdom Hearts X (presumably delving into the Unchained realm) and somehow transferred his heart to them in order to transform them into Seekers. 4) Why is Xion the final member? isn't she resting in Sora's heart? Yes, she is. However, my theory with Xion is that, during 358/2 Days, when Xemnas was modifying an unconscious Xion, Xemnas placed a fraction of his into her (hence Xion providing the message to tell Roxas to stop Xemnas gaining hearts before she fades). But then that begs the question, why is Sora not norted if Xion is resting in her? Simple: because only Xion mind and heart is in Sora, Xion's body was never a definitive body to begin with: she was a literal puppet. Riku sees Xion's body as Sora and Xigbar sees Xion's body as Ventus. Her synthetic body was the only element of her that never belonged to Sora. Her mind and heart were extensions of Sora's: her body was artificially created from Xion's mind and heart. You know, I noticed something when I was watching an LP the other day. Xigbar in DDD has his Organization cloak and has long hair, but in the secret ending of Re:coded movie, he is with his old clothes and BBS hairstyle. So, would it be too much to assume that both Xigbar and Braig will be in the new Org. XIII? I think you may be putting too much stock in the Eye Of Darkness. Actually, It shouldn't even be called the Eye of Darkness anymore, it should be called the Foreteller's Eye. The fact that it's associated Xehanort and those connected to him is merely a result of having a Foreteller Keyblade, which isn't even his. As for them having their own, they have to be worthy in the first place, and most of them aren't. Someone who doesn't have the qualifications can't even hold one for more than a few seconds. As for Ephemera and Skuld, they're Dandelions, welders who where able to resist falling to darkness. Because you have to be steeped in Darkness for Xehanort to possess you, it's not possible for them to be Seekers of Darkness. As for Xion, Only Sora can bring her back, that's the purpose of the Key to Return Hearts. And as of 3D she's show to still be inside Sora. All I know is Skuld and Ephemera are "Dandelions", Xion is still inside of Sora, and I think all of the XIII Seeker of Darknesses that hasn't been revealed yet are all dudes. No ladies. I would've known if there was a female member in there. And all of them were sitting the same in those high chairs too. I think that'd be very lazy on Nomura's part if that was the case. However, it really is an unusual conundrum. I'm pretty sure that the Dandelions were created as people who continued beyond the Keyblade War. I don't recall anything about them resisting the Darkness? As far as Xion goes, I've updated my description. In layman terms, beings in the Kingdom Hearts Universe are split into Mind, Body and Heart. Xion's Mind and Heart is resting in Sora because they were an extension of Sora: her body on the other hand was synthetic. Riku sees her body as Sora and Xigbar sees her body as Ventus. It's entirely possible that Xemnas placed a fraction of his heart inside Xion in order to transform her into a vessel before she faced Roxas. Watch Everglow's playthrough, Ava says that she chose people who could resist darkness to become Dandelions. Xion was a replica, they could just create a new one by that logic. And the reason people see Xion differently is because she was based on memories, he appreance differed depending on the observer's connection to Sora. And it was actualy Kairi Riku saw Xion as at first, not Sora. Xion is not a darkness, she's one of the people, Sora has to save and out of that group, the only one who is also a Darkness is Terra because Sora has to bring Ven, Xion and Roxas back himself, no on else can do it because it can't be done without the Key to Return Hearts. "But I do know that a time will come when they must rise from their sleep, and when that day comes, the only one who can save them will be Sora"
Nomura said we'd be surprised about who the Darknesses and Lights are, but we won't be, not unless he sacrifices the integrity of the story and throws away all the hints he's been dropping for the last 3 games. Demyx is possible but unlikely because of his "Weakness of will" (i.e. laziness)Larxene and Marluxia are possible but unlikely because of their "Weakness of trust" in Xemnas. In fact I wouldn't even consider Marluxia if it weren't for those new Nobodies, Because no one outside of the Org can control them as Xemnas has defacto control over all nobodies. And in fact another reason Xion is unlikely is because of her "Weakness of body", being a prototype and therefore having and unstable form, as well as how many times she needed to be "fixed"
I updated my list and removed Skuld. Didn't the translation of the playthrough say that Ephemera was the guide to the Dandelions as opposed to being one of them? And as far as Marluxia goes, he doesn't have to be willing to be a vessel. Yes, he falls under the "weakness of trust" category, however, his darkness is too strong for the Seekers of Darkness not to ignore. Nomura has stated that the enemies that are in the various Disney worlds are representative of the person that travels there, and seeing as the Flora Nobodies are representative of Marluxia: you can connect the dots from there. I suppose you do have a good point with weakness of body. But at the same time, Xion needs some significance outside of "being saved" and wanting to be "a being of their own right". Axel is Lea who is a protector for Radiant Garden (and a potential Seeker of Light) and Roxas is Sora's nobody which has specialties in his own rights. Maybe we are still at the point where we're still scraping straws for Seekers of Darkness. Do you have any ideas for candidates? Well, there are the ones I mentions. It's possible that Dilan and Evan haven't fully recovered because they're fighting for control with Xehanort, We have know idea where Luxord is so they could still be SoD, and I agree in Vanitas. Luxord seems very likely because he had none of the three faults. He was powerful, confidant and loyal to the organization. Plus he can manipulate time, just like Xehanort. I don't see whey you're so quick to dismiss him.I agree Xion needs greater significance, but I think that if that significance where to take the form of being a member of one of the two core groups, GoL is more likely.Ephemera was one of the first Dandelions, yes hes a "guide" but he's also the deputy leader. That doesn't exclude him from being part of the group, Just like being a Princess of Heart doesn't exclude Kairi from being a Guardian of Light. He looks for people with the potential to be Dandelions, those who can stare into the darkness without falling prey to it. Hmm, this is a pretty awesome list you cooked up here, Baymax! My only gripe here is with the members you mentioned having the Keyblades of the Foretellers! I'd much rather they wield their own weapons than Keyblades, but then again, this is to be a Keyblade War, and for that, you need to have Keyblades, ya know? So yeah, I get why you put the Keyblades of the Foretellers in those members! Also, I love the idea of Marluxia being a seeker, because he is my favorite Organization character, and getting to see him again would be awesome! That hint in the Kingdom Of Corona has me hopeful! I've also thought Luxord could be one, since he does meddle with time and manipulates fate, ya know? Also, a dice chess piece could be seen in the E3 2015 trailer, so that's another hint! Wait, so now the factions have keyblades? Well yes, this is the Keyblade War these Guardians of Light and Seekers of Darkness are forming for. In Birth by Sleep, Braig didn't have a Keyblade because he was nothing more than a distraction: he wasn't a major influencer to that particular conflict like Vanitas was. This is different so the non-keyblade wielders have to have a keyblade. But knowing Xehanort and his shady deals, he gave these non-keyblade wielders the Foreteller keyblades in order to signify that they are nothing more than extensions of him. Cheers. I intentionally gave these non-keyblade wielders pre-existing keyblades to further ferment the fact that these candidates were not keyblade wielders by will, destiny or inheritance, but rather, by force. Sure, Braig was willing to be a vessel, thing is, he's exceptional in the context that he doesn't care about how he gets his keyblade. He just wants one for whatever reason. Plus, when you think about it, the colour schemes match. Unicronis/Xigbar is Grey, Anguis/Saix is Blue, Leopardos/Luxord is Yellow, Ursus/Terra is Brown and Vulpes/Marluxia is Pink. As much as I'd love Xaldin to return, I think it was already confirmed in Dream Drop Distance that people who were Seekers of Darkness were returned to Xehanort (henceforth Saix and Braig not being in Radiant Garden). Had Xaldin and Vexen be Seekers: they'd have been gone too. Yes, but remember, Dilan and Even weren't awake yet, so their hearts may be fighting Xehanort for control, meaning they weren't ready to join yet because Xehanort didn't have the reins. Scroll up a couple of posts to see more ideas. This list is so nice oh my gosh. It has nice reasoning and everything, it's really well written! Ahhh the foreteller keyblade idea is so cool to me... Since it's a given that every member will get a keyblade, at least do it in style amirite? I think it's more likely that each member will receive their own mini version of soul-eater or something, but I wouldn't say the foreteller's keyblades isn't a possibility. Also I'm biased because Anguis's keyblade has my favorite design. I must say, I have no idea why people are so quick to dismiss Marluxia as a candidate for darkness when Saïx exists. I'm almost inclined to state the "weakness of trust" line as utter bs, seeing as how when you get into perspectives of things Saïx's betrayal was even more personal then Marluxia's. Saïx has a direct hatred/distrust for Xemnas. Marluxia's was more of a matter of pride which, in theory, could be easily taken care of if you just possess him. Likewise the amount of trust within the true organization xiii is laughable at best: Xigbar's just in it for the goods, Xemnas is just a puppet of someone who despises Xehanort, Ben Diskin heavily implied Young Xehanort doesn't exactly like his elder self, and Saïx is the literal definition of a traitor. If anything, I can easily see Marluxia take a Xigbar-esque route; he's power-hungry and a megalomaniac. That being said I don't necessarily think he's confirmed as vessel, I just think him being one is a definite possibility. As for Luxord I'm definitely behind this. I don't have a lot to say that wasn't already given besides the fact that Luxord has always rubbed me the wrong way since when I first played Kingdom Hearts. Not particularly damning evidence I know, but the personal gut feeling remains. I also personally wouldn't dismiss Demyx as a possibility. He's certainly unmotivated and apathetic, but people seem to forget he's actually very clever. While originally taken as a comedic line, his belief that "[he] does have a heart]" has a whole new meaning after what Xemnas told Sora in dream drop distance. Axel did call Demyx 'a master of recon' after all. I'm just saying stay open to the possibility though. Demyx as a nort isn't my first thought admittedly, but it's far from the last. I agree with the others that I'm a bit iffy on Skuld and Ephemera, although you already updated the list of course! Ephemera and Skuld definitely will play a big role in the scheme of things, but I feel as if we don't know enough about them to really mark them as possible candidates...yet. Of course there's the whole dandelion thing to take into consideration. And finally I'm not sure how I feel about Xion. I've heard lots of theories on this, yet I remain indifferent. Ah sorry for this wall of text, I tend to ramble. I never really thought of Ephemera and Skuld, they make really good sense as well, so kudos for explaining how'd they be involved :wink: . Oh wow, when you put it like that, it makes a ton of sense! The color schemes of the Keyblades do match up with these certain characters! Hmm, I wonder how things will play out in the long run? I can't wait to see how it'll all unfold in Kingdom Hearts III! But in the World That Never Was, we see that 12 of the seats have already been filled. I'm pretty sure Dilan and Even would have been swept away by Xigbar anyway. 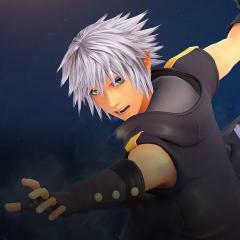 The only other logical explanation aside for Seekers that I've mentioned are original character for Kingdom Hearts III. No problem, rambling can surprisingly conjure up new ideas. The whole Saix situation is a good point. The fact that he initially wanted to be a traitor is an evidence of weakness of trust, but then again, he maybe wanted to turn against the Organization at the time with Axel because he was aware that Xehanort was hosting his body. Skuld has amber eyes and Ephemera's Chirithy has delved into the darkness so there's that consideration too. I'm unsure about Demyx though, he'd be too much of a Chicken to get involved as a Seeker of Darkness. Cheers, they were the hardest to consider because they existed before Xehanort's existence, however, there were ways of implementing them into the ranks (assuming that they survive to the present day). Actually Saïx was unaware of his possession; he had no idea what Xemnas was planning and Xigbar even taunts him for it. Saïx betrayed the organization with Axel because he was aware that Xemnas wasn't a trustworthy person. The real irony of the situation is that Saïx and Axel planned to usurp the organization in order to guarantee access to their hearts with Saïx gathering intel and Axel doing the 'icky' jobs, but Xemnas was aware of their betrayal from the get go so it just made things worse lol. That being said anyone with eyes can see that Saïx was definitely at least under some of Xehanort's influence during this time while Marluxia doesn't give any sort of obvious hints. So it's possible that Saïx was still considered while Marluxia was cut simply because Saïx was already possessed. The trust is relatively iffy considering though I guess you can argue it’s logical to avoid adding even more distrust to the organization but ehhhhh, Xehanort tried to add Sora as well so he’s just a big hypocrite. Basically I think while you can argue that Marluxia’s circumstances were different then Saïx’s, the actual reasoning for Saïx>Marluxia on Xehanort’s half is rather ridiculous, but knowing Xehanort this is absolutely possibly. Either way I still think Marluxia is a possibility as do you. I’m down for whatever. Ah everyone seems to unanimously agree that Skuld has Xehanort’s eyes, though personally I think they look more brown. But eh, could be the chi art style of course. Even if Skuld has the ‘eyes’ she certainly has the amber variety compared to the usual yellow… just something to note. I feel like eye color always serves a hint. Oh and was it confirmed that Ephemera’s Chirithy was the dark one? Jfc I really need to log into Chi and play catch up. I am basically convinced that those two have some sort of connection with Xehanort regardless. I’m not sure if it’s vessel or something else, but I think it’s safe to assume that there’s something going on. I mainly added Demyx out of the fact no one seems to even consider him. He has his benefits and he’s far from unsuspicious in my opinion, but yeah he does seem a bit of a pushover for nort material haha. I just like to keep my opinions open. You want Xion to have more significance, I get that, but you do realize that if she's a darkness, she'll just be destroyed again, right? And if not, that still renders her to someone who needs Saving, just like Terra. Like I said, It makes more sence for her to be on the other side, i.e. needing to be saved so she can be a GoL. About her body, you mentioned that Xehanort could have gotten, it, but just like Vanitas and the Riku Replica, her body was destroyed, there's nothing to recover. Her body isn't inside Sora, just her heart, her body is gone. Maybe they created a new replica but the vessel itself isn't enough, they need that vessel filled with darkness before they can implant Xehanort's heart. And let's not forget, Xigbar created illusions of 11 Seekers of darkness, while he and young Xehanort where around, 13. whose to say some of the seated figures weren't illusions? True Xehanort said "all the chairs have been filled" But that could be referring to the fact that he has 12 lined up, not necessarily there at the time. they were part of the Dandelions. I don't really see Terra-Xehanort as one because Terra will be saved and Terranort is Terra under Xehanort's heart. Unless time travel comes into play after Terra is saved, then maybe, but overall no. I wouldn't involve characters of KHx in the Keyblade Wars. I would add Xion (final form) and mayby Data-Sora. Or a possibility a Final Fantasy character Noctis would be the most logic. The Foreteller keyblades have the eye of Darkness as their Keychain so it's not out of the realm of possibilities for Xehanort to gain them for his vessels. There are possibilities in which the KHX characters survive beyond The Keyblade War. I like the list Vanitas is for sure an SOD if we go with the chessboard pieces there's a unversed symbol on one of them. When it comes to Xion I'm like eeh...It's possible but at the same time I hope she isn't one.